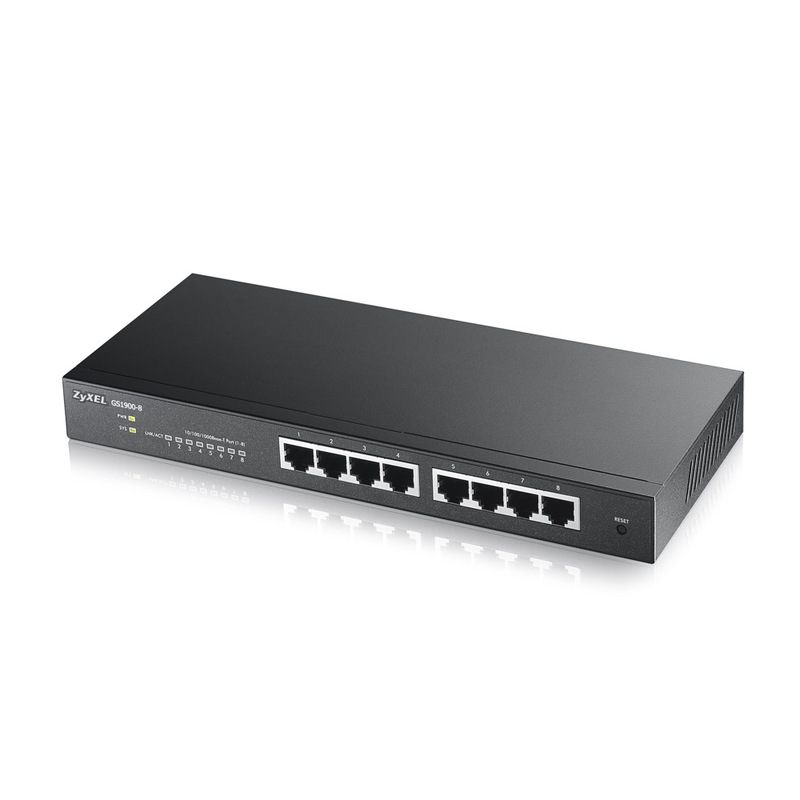 The Zyxel GS1900-8 is an 8-port GbE Smart Managed Switches. Zyxel ONE Network is an new option in controlling the latest Zyxel switches. Zyxel ONE Network is designed to simplify the configuration, management, and troubleshooting. For small businesses that want to manage their infrastructure in advance, the Zyxel GS1900-8 comes with a friendly built-in Web-based browser for simple configuration and management. Moreover, the friendly step-by-step intuitive wizard helps avoiding multiple complicated configuration pages for quick set up with few clicks in the matter of minutes. To guide the users from start-up, VLAN, Guest VLAN to QoS setting, the Zyxel Series offers four most common steps and combines them into a quick and easy setup wizard; which does not just save deployment time and efforts, but is also helpful especially for the non-IT staff. These switches had a Lifetime warranty but you can upgrade to Next day business day advance swap-out.